DelSuites Skymark West Mississauga has a great location close to the Mississauga Convention Centre and Square One Shopping Centre. These furnished apartments in Mississauga features a private balcony and a spacious separate living area equipped with a DVD player and a TV where you can enjoy more than 100 channels, premium movie channels & HBO. 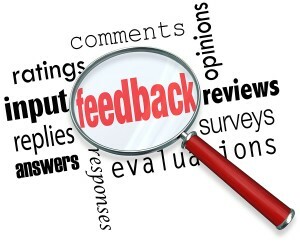 You can even directly order specialty language and sports packages with no additional administration costs applied. The fully equipped kitchen features 4 major appliances including a fridge, dishwasher, stove and microwave. 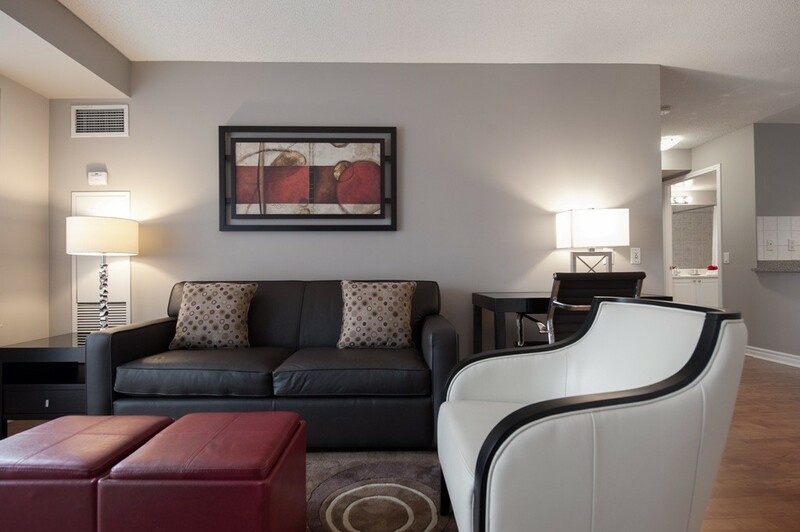 Our furnished rentals in Mississauga are bright and airy and have a modern design. During your stay the staff at Delsuites will help you with anything you need, ensuring that you are comfortable and well looked after. The facilities also feature a gym and an indoor pool, so that you can stay active and fit during your visit to Skymark West Mississauga. Wifi is available in all of the suites free of charge, which means that this location is also great for business travellers who need to communicate and get work done during their stay. The newly designed suites have a contemporary colour palette and a calm, tranquil feeling. They are decorated with trendy and stylish furniture and modern artwork. The suites also offer a sofa bed in the living room, so that you can host more people if necessary. There is an in-suite washer and dryer, which saves you the hassle of having to get your clothes laundered during your trip. The services feature inclusive weekly housekeeping service (based on your reservation) and 24/7 on-call services for emergencies. There is also a 24 hour security personnel as well as controlled building access, so you can count on being safe and secure. This is a location that is ideal for summer travel. There is a lot to do in Mississauga so it will be hard to be bored while you are enjoying this gorgeous area. C heck out the spectacular waterfront district at Port Credit, which features a great selection of boutiques, marinas, restaurants and craft shops. If you are travelling with kids they will love Playdium, which is a 40,000 square foot interactive games playground. Mississauga is also a great place for shopping. 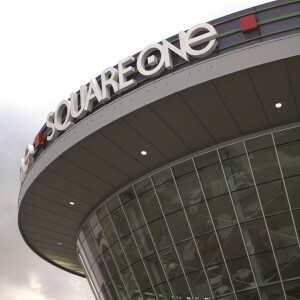 It is home to Erin Mills Town Centre which has over 175 shops and Square One Shopping Centre which has over 360 stores . It is also where you will find Dixie Outlet, a great place for bargains. Another great area of Mississauga is Streetsville, which is where the mayor lives. It has a number of interesting shops and restaurants to enjoy. Art lovers can check out the Art Gallery of Mississauga, which has an impressive collection of national and international exhibitions. 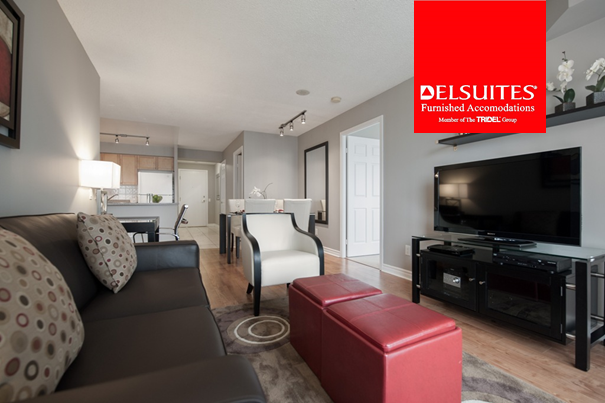 The Delsuites Skymark West Mississauga location is ideal for exploring, as you will be close to many of the best attractions. To find out more about the furnished rentals and suites and what they have to offer, or to ask us any questions, please feel free to contact at any time. Located less than an hour from downtown Toronto and a half hour from the Toronto International Pearson Airport, the city of Mississauga is also Canada’s sixth largest city. As part of the Greater Toronto Area, many people are relocating here to live and work. As a result of the city’s growth, there are a number of activities and culture to enjoy here. If you are working on the border of the city, this is a great location to consider for corporate housing. Here are just a few things to do in Mississauga that you dont want to miss out on trying. 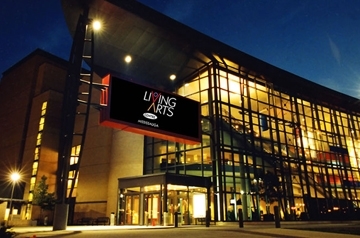 Since 1997, The Living Arts Centre has been Mississauga’s central performance venue. You can see a variety of shows here from opera and symphony to drama and dance. The whole family can also explore the arts, crafts, and visual arts studios year-round. LIVE Cuisine restaurant is also on site for pre-performance meals. 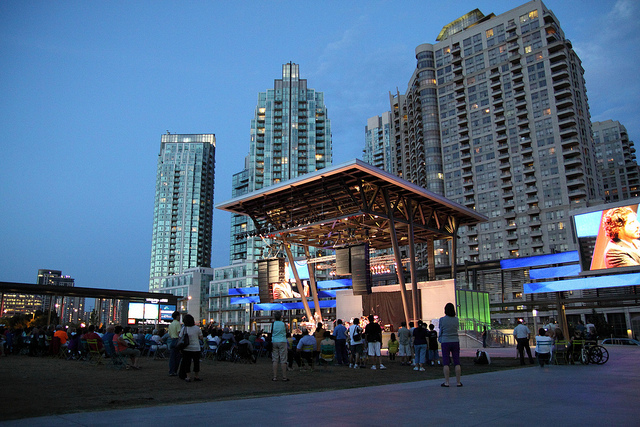 Located across from Square One Shopping Centre and City Hall, Mississauga Celebration Square is the central location for free outdoor events. Lounge on the lawn and relax by the interactive water feature (fountains in the summer; an ice rink in the winter). Activities that feature arts, culture, and heritage are celebrated year-round from the farmers markets to the Imagination Park where the whole family can play various games featuring blocks and technology. These quaint villages add a little flair to the greater region of Mississauga. Streetsville offers historical walking tours as well as regular events like yoga in the square. Popular festivals like the Bread and Honey Festival and the Taste of Streetsville attract locals and visitors alike. By the lake, Port Credit is a seaside getaway from the city. Ride your bike along the trails near the harbourfront, stop for an ice cream at the infamous Diary Cream, or indulge in a nice dinner at Snug Harbour with a lakeside view by the lighthouse. Mississauga offers some of the best shopping in the Greater Toronto Area. From the ever-expanding and central Square One Shopping Centre to outlet malls Heartland Town Centre and Dixie Outlet Mall, there are a variety of choices and prices for all of your shopping needs. 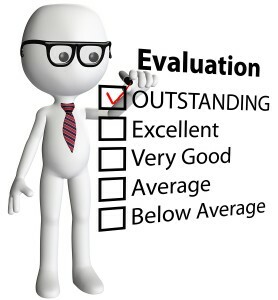 Bonus: Our Grand Ovation and Skymark West furnished apartments are a short walk from the Square One Shopping Centre. Not just for kids, Skyzone is the world’s first indoor trampoline park. The park offers an open jump, a SkySlam court, SkyRobics fitness classes, Ultimate Dodgeball (when available) and a Foam Zone. For those who would like to keep their feet closer to the ground, Scooters Roller Palace offers inline and roller skating lessons in addition to all-ages open skates. These are great activities for the whole family! There are plenty of trails and parks if you want to get active in Mississauga! Mississauga is a thriving and expanding community. Whether you’re here for on a project or assignment or simply vacation, it’s a great place to stay within close distance of Toronto and other suburban communities.